Zendaya steps out for the boohoo Block Party to celebrate her new curated collection at The Highlight Room at the Dream Hollywood on Wednesday night (March 21) in Los Angeles. The 21-year-old actress invited tons of celeb friends to the event like Storm Reid, Normani, Dinah Jane, Jordyn Woods, Jillian Rose Reed, Harley Quinn Smith, Paris Hilton, Sistine and Sophia Stallone. 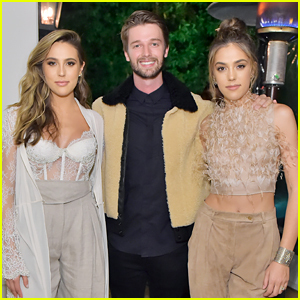 Social stars Gigi Gorgeous and Sierra Furtado, Kelli Berglund, Jenna Ortega, Niki Koss, Emma Kenney, Greer Grammer, Ava Allan and Riverdale‘s Hart Denton were also at the party. The block party invited guests to take part in 90s dance lessons, cooking lessons, firework displays and interactive arcade games. They also munched on retro treats Bubble Tape and Candy Necklaces, as well as Slush Puppies and Sunny D cocktails. Check out all the pics inside! FYI: Normani is wearing a Ramy Brook green two piece. 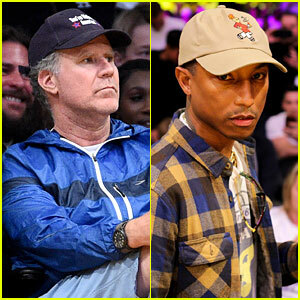 Will Ferrell sat courtside to watch the Los Angeles Lakers beat the Oklahoma City Thunder at last night’s game! The 50-year-old Daddy’s Home 2 actor was spotted at the basketball game on Thursday (January 8) at Staples Center in Los Angeles. He was joined by Pharrell Williams, repping his purple and gold. 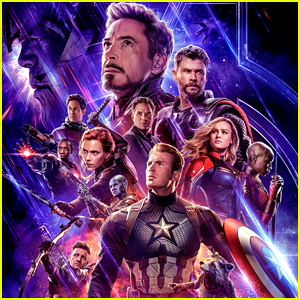 Also in the crowd were Floyd Mayweather, The Big Bang Theory‘s Mayim Bialik, Billy Bush, Sylvester Stallone‘s daughters Scarlet and Sophia, Sophia‘s beau Connor Spears, and Scarlet‘s male friend. The Lakers defeated the Thunder with a final score of 106-81. Dwayne Johnson‘s daughter Simone looked stunning at the Vanity Fair x Instagram Golden Globes party! The 16-year-old Golden Globe Ambassador stepped out at the event on Saturday night (January 6) at Mel’s Diner in West Hollywood, Calif.
She was also joined by last year’s Golden Globe Ambassadors Sistine and Sophia Stallone. During the award ceremony, Simone is set to assist by ushering presenters on and off stage and handing out awards. Make sure to check out our list of other Golden Globe Ambassadors who went on to become big stars! FYI: Sistine is wearing Sophia Webster heels. Sophia is wearing an Alice McCall coat. Kaya Scodelario and Saoirse Ronan keep it classy while stepping out for the Hollywood Foreign Press Association & InStyle’s Golden Globe Awards Celebration held at Catch LA on Wednesday night (November 15) in West Hollywood, Calif.
Dove Cameron, Thomas Doherty, Peyton List, Wonder‘s Izabela Vidovic and Jacob Tremblay, Julia Garner, Kathryn Newton, Halston Sage, and Empire‘s Serayah joined the two actresses for the event. All of Young Hollywood came to celebrate that Dwayne Johnson‘s daughter, Simone, was named the new Golden Globes Ambassador for this year’s upcoming awards. Miss Golden Globes 2017 Sistine, Scarlet, and Sophia Stallone were there to pass along the honor. FYI: Dove wore a sweet Giamba dress. Halston wore a Manning Cartell dress. Saoirse wore a Teresa Helbig look with Alchimia Di Ballin heels. Julia is wearing a Proenza Schouler dress. Peyton is wearing an Alice McCall playsuit.